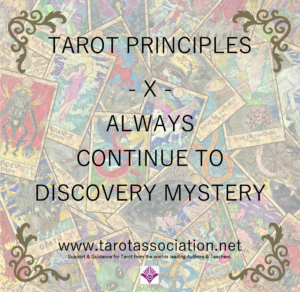 Tarot is a Token of Mystery. 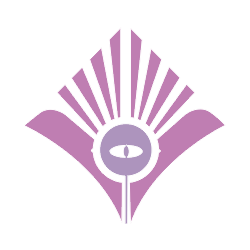 The cards are a play of fate, fortune and destiny. Tarot allows us to read our fate and turn it into our destiny. So, we learn to incorporate and utilise whatever is happening in the moment. Remember then, from the very beginning, to understand that every reading is the centre of a revolution. 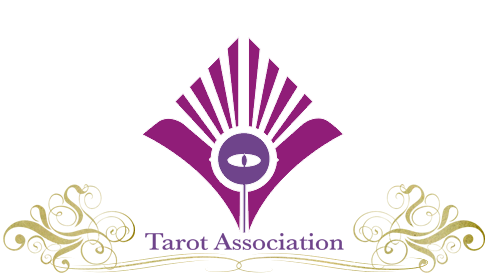 The 21 principles are given as core approaches to Tarot which provide a firm basis for individual study and practice. 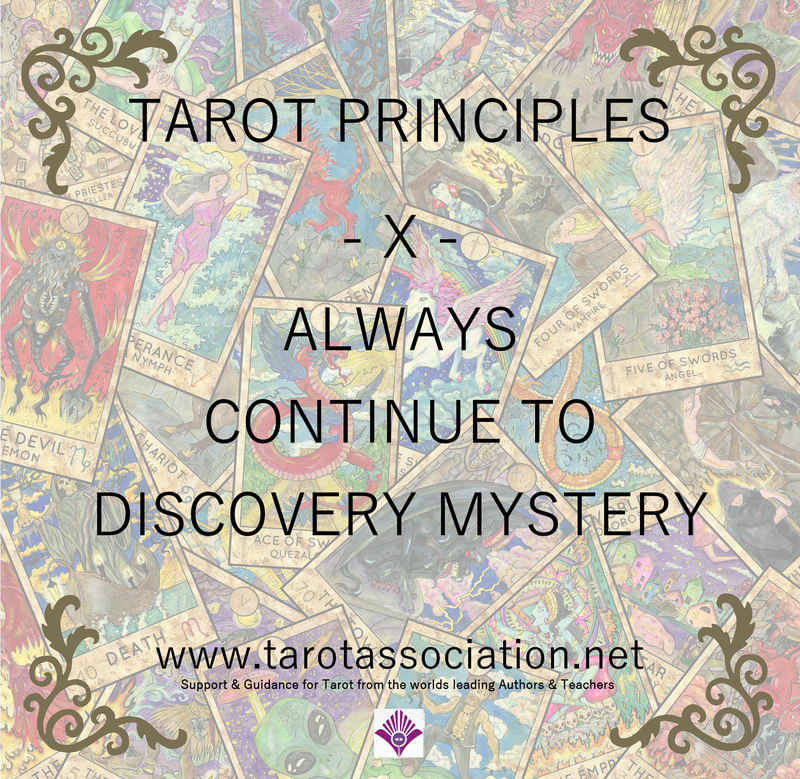 There is no end to the mystery of Tarot as it plays out in every life, and this 10th Principle can be taken with the 9th and 11th Principle for deeper contemplation. The student of the Principles may benefit from comparing different principles, taking them together in pairs and triads, etc. Today, we will look at the Major Arcana. These are the big patterns that play out in our lifetime. Sometimes they are so obvious that we might miss them, and they remain a mystery hidden in plain sight. An example is that the 21 Principles of Tarot are based on the Major Arcana. Yesterday, for example, was the Principle of the Hermit (9), “Tarot is the Learning of a Lifetime”. Today is the Principle of the Wheel (10), “Always Continue to Discover Mystery”. 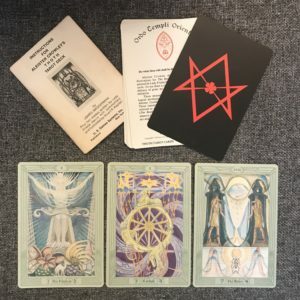 If you start at the first Principle, corresponding to the Magician, you will now see how the Major Arcana themselves have given us these Principles. A Mystery, in Plain Sight. The Fool is the Overall Mystery so does not have a numbered Principle, but we will share that Principle when we get to the World, the 21st Principle. So, today, we will look not only at the Principle but the Wheel card itself. 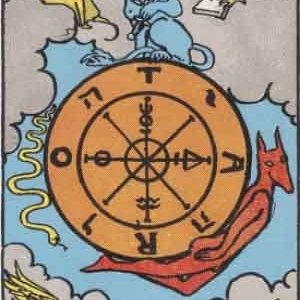 In the series of 22 cards, the Wheel is card 10, sort of half-way through the sequence – if we take the Fool out as an “unnumbered” or “zero” card. The Wheel shows how patterns tend to go around in a circle. Either side of the Wheel (10) we have the Hermit (9) which is ourselves on the road of life and Justice (11), the scales of balance. The exercise today is to use the Major Arcana to uncover a pattern in our lives. We tend to teach that due to their nature, the Major Arcana are quite obvious cards to interpret; by definition, we all mostly know what the “Devil” is, or what a “Lightning-Struck Tower” might signify. This is a split-deck exercise, a new method first introduced in Tarosophy. Take out the 22 Major Arcana – the cards including the Fool and numbered, usually in Latin numerals, from I to XXI. Shuffle them whilst thinking about your life and all its ups and downs. Turn the deck of 22 cards face-up and carefully look through them until you find the Wheel. Take out the Wheel and the 2 cards either side of it. Take a look at the two cards. What might they tell you about the way in which you are stuck to a pattern? Leave these cards out, as tomorrow we will look at them using the Minor Arcana. 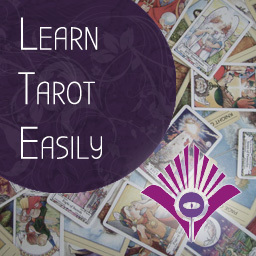 If you want more keywords, please consult Tarot Flip, the book I personally use most when reading for myself. It is the smallest book we’ve written, but the most powerful as it condenses thousands of real readings to work out what the cards usually signify in actual readings in real life. It is the first book to take a massive survey of actual readings as the source of keywords, rather than make them up or copy them from other books. The High Priestess and the Moon, either side of the Wheel. I first see that both cards have two pillars or two towers. The High Priestess in the Thoth Tarot can be most simply read as”a Mystery” and the Moon as “Fear”. 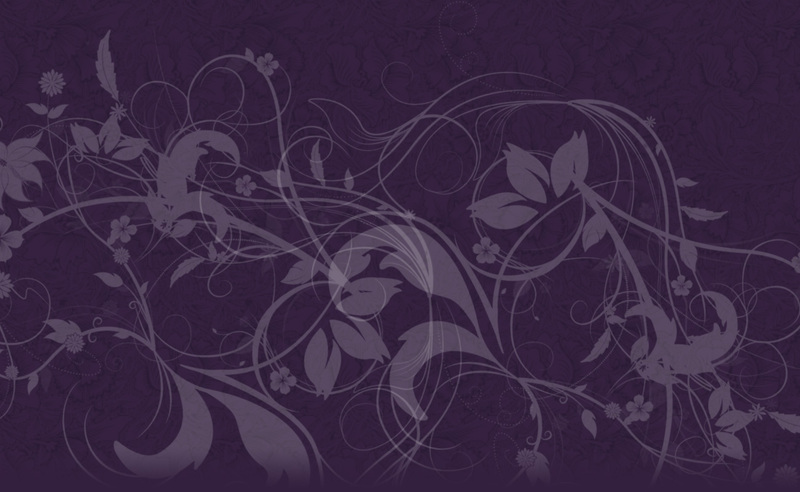 There is a pattern here of “fearing secrets” and both cards are aspects of the feminine. In fact, the correspondence of the High Priestess is the Moon. This is a personal and powerful lesson to see in the cards and it is generated by just three cards. You may wish to practice and introduce it for your own clients if you read for other people. 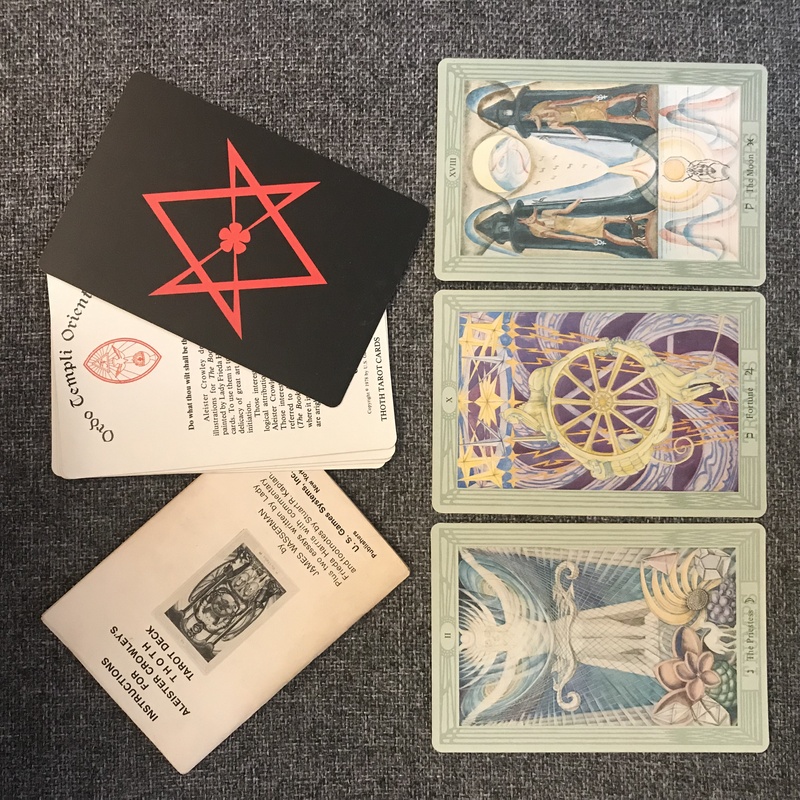 See Secrets of the Thoth Tarot (Vol.I) for the core meanings of the Thoth Major Arcana based on Crowley’s own life, work and Magick. Ask in our Facebook group if you would like further suggestions about your reading in this exercise. Consider how the Major Arcana arise in life. The Fool arises in every situation where you need to step into the unknown. This can happen from considering a job offer in another country to selecting a new cereal in the grocery store. Big and Small. The Pattern is still the Same. Consider the “spiral”. How many times do we see that pattern? In a bathtub to a galaxy, in the way a roulette ball goes to the way we go around a problem until we face it. Having received the two cards either side of the Wheel, look out for them in your life today as you did for the Hermit.